The Craft Bazaar’2018-19, Kokrajhar kicked off on Friday, organized by BRAWFED (Bodoland regional apex weavers & artisans co-op fed ltd). The fair is held at the Rupnath Brahma Road, Kokrajhar, BTC, Assam and under the sponsorship of Development Commissioner (handicrafts) Ministry of Textiles, Govt of India, New Delhi. More than 50 stall have been installed in the craft bazaar and around 100 artisans’ from country have come and several states have participated. The nine-day long day craft bazaar expo 2018-19 was inaugurated by the Deben Boro EM of handloom and textile BTC as a chief guest among the artisans’ of the waver. Deben Boro EM said in his inauguration speech the BTC has been doing great job in all round development in every sector. He said, “Today I am delighted that our Bodo women have been weaving traditional dress and keeping alive our traditional dress. Boro also appeals to all the artisans’ to bring their products to craft bazaar to get exposure and sell in the expo bazaar. 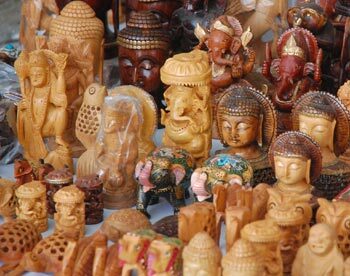 The Director of BRAWFED NN Rana Patgiri said the craft bazaar, have started and it will be held from February 8-17, 2019 with 100 participants/artisans from all over India showcasing their handicraft products such as Cane & Bamboo, Hand-woven Textiles, Jute craft, etc in the craft bazaar at Kokrajhar town. He said that it has already generated considerable enthusiasm and curiosity amongst the people as well as nearby areas and across the country which has good market potential for handloom products. Patgiri also said that craft bazaar was successfully inaugurated by Deben Boro, Executive Member, Handloom Textiles & Sericulture Deptt., BTC in presence of Biren Ch. Phuka, IAS, Principal Secretary, BTC, Binod Narzary, Hon’ble Chairman, BRAWFED, Kokrajhar, N. N. Rana Patgiri, Managing Director, BRAWFED, Kokrajhar, Shri Dibakar Goswami, Director, Handloom & Textiles Deptt. BTC and Tenzing Kelzang, Regional Secretary, BCCI, Gelephu, Bhutan on 8th February’2019 at Ground near over bridge, Kokrajhar BTC, Assam.